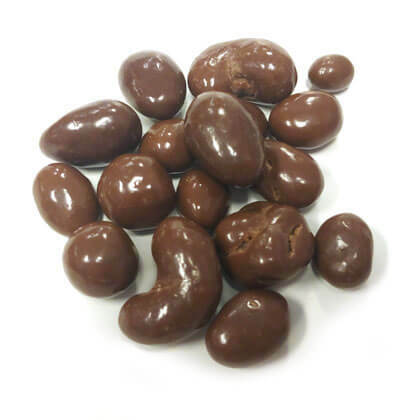 A variety of peanuts, almonds, walnuts, Brazil nuts, cashews and pecans covered in milk chocolate. Made in USA. Kosher Dairy. 8 ounce bag. Approx. 7 pieces per ounce.